Establishing the people’s control over the government and not the other way around, the delegates designed a central government consisting of 3 “separate but equal” branches: Legislative, Executive, and Judicial. Care was taken to make sure each branch had their own specific duties and authorities, as well as precise restrictions and boundaries. “Checks and balances” were developed instructing each branch to keep the other branches within their limitations. Included were measures, specifically impeachment, to remove anyone who abused or overstepped their boundaries, whether it be a Congressmen, Justice, or President. To be able to sustain the First Amendment, Americans were given the Second Amendment. After fighting a war against a King who not only controlled religion but executed those who spoke against him, the Founding Fathers of the Country made sure that the people of America would be free to speak and worship as they choose. But the only way to secure that freedom was to guarantee a tyrannical government couldn’t overpower them. This was achieved by giving citizens the right to defend themselves, not against intruders and other citizens, but from a government seeking to become a totalitarian governing body. The delegates borrowed elements and ideas from other documents, including the Declaration of Independence and the Articles of Confederation. As a whole, though, the Constitution of the United States of America was an unprecedented governing contract that had never been seen before. It was an agreement that limited the powers of the national government, giving the control to the states and personal rights to the citizens of the country. The Constitution and Bill of Rights were very specific in not informing the federal government what it could do, but what it couldn't. They are explicitly meant to tie the hands of those writing, enforcing, and judging our laws to prevent them from hindering our liberties and freedoms. President George W. Bush ushered into law a bill honoring the 39 brave men who signed the document. 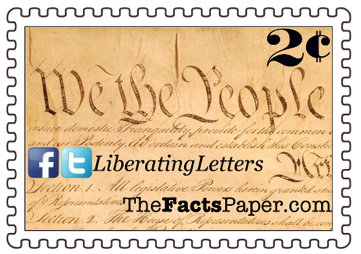 It designated September 17th Constitution Day which America first celebrated in 2005. How fantastic we are re-familiarizing ourselves with such an important document. It’s easy for a government to take away freedoms that citizens aren’t even aware they have. But God help those who try to remove liberties while citizens are wide awake. While July 4th is a pivotal day for our country, it was on this day in 1787 that the backbone of our nation's governing system was cemented with the U.S. Constitution. The nation had built up a substantial debt fighting the Revolutionary War. The First Continental Congress allowed the government to print money of which it actively did. By the end of the war, the bills had depreciated so much simply because there were so many of them, they were turned into a joke with the common phrase “not worth a continental”. For America to survive on the world stage, there had to be some common unity between the states. The Articles did establish a structure for the states to vote on proposals affecting the country, but it allowed any one state the ability to veto a bill. It also lacked instruction on managing affairs, specifically internationally, of the nation and failed to provide the guidance and support needed from a strong, central but still limited, government. Seeking a resolution, another Constitutional Convention was called. State legislatures chose 74 delegates to attend but only 55 showed up on May 25, 1787, in Philadelphia, Pennsylvania. The original purpose was to amend the Articles of Confederation. The delegates soon realized the best action was to start over with a new Constitution. As demonstrated in “Jamestown: A City Upon A Hill” and “Thanks Be To God”, the concept of self-governing was instilled in the hearts of Americans from the very first settlers. The new Constitution highlighted this concept, beginning with the words “We the People”. It was this phrase that set the stage for the historical document that grants rights and power to the citizens, not a person or entity.